Earlier this week it was announced that three neuroscientists, working in the UK, won a prize of €1 million for the work they have carried out on the brain. It was the subject of study that interested us. Over the last 30 years, Peter Dayan, Ray Dolan and Wolfram Schultz have carried out research into dopamine, a chemical that is released in the brain when something good happens. It occurs to us that somewhere down the line this could have implications for market research. At the present, we ask people how satisfied they are using a numeric scale such as 1 means not at all satisfied and 10 means totally satisfied. But what does satisfaction mean? It is like measuring pain; one person’s measurement is different to another’s. Wouldn’t it be so much better if we could measure their production of dopamine? The scores we obtain are really tricky to interpret. We see huge differences between people in Latin America, North America, Europe and Asia. Europeans and Americans tend to give low scores compared to their Latin American and Asian cousins who consistently rate their satisfaction about most things 10 to 15% higher. So what is the cause of this? Is it differences in expectations? Is it differences in culture? Or is it dopamine!! Hmm. Apparently bananas are one of the most important natural sources of dopamine. If we look at the consumption of bananas per head, what do we find? 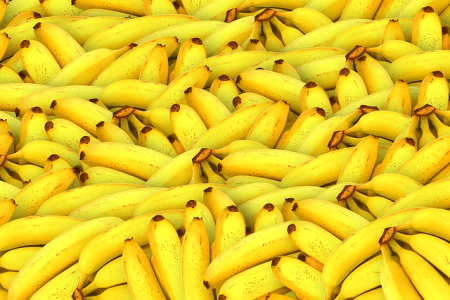 Forget your scales from 1 to 10 – it’s bananas!